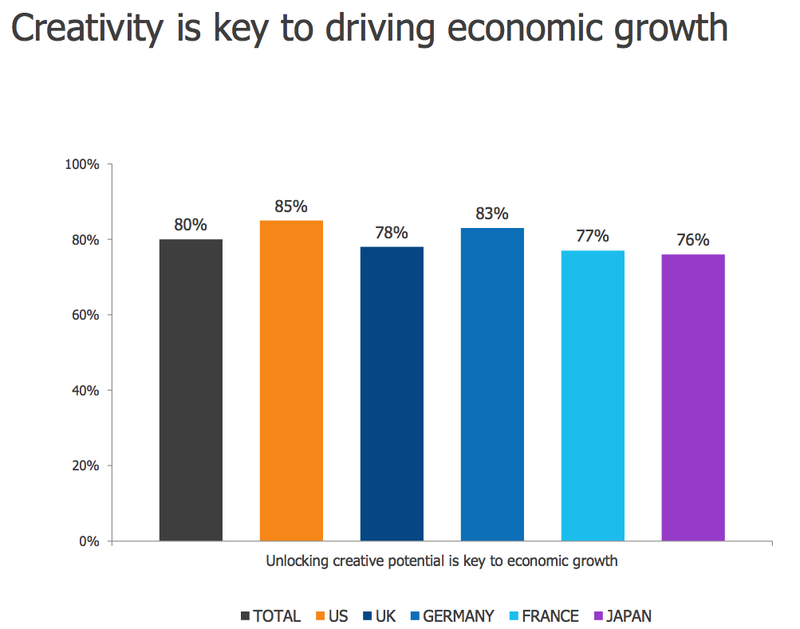 Editor's note: This research is a couple of years old but it provides some useful context around creativity and why organisations should be looking to develop creative skills. There seems to be a lot of untapped potential here. In April 2012 research firm StrategyOne conducted surveys of 5,000 adults, 1,000 per country, in the US, UK, Germany, France and Japan. The research was designed to identify attitudes and beliefs about #creativity and provide insights into the role of creativity in business, education and society. 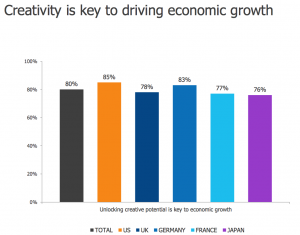 This research is a couple of years old but it provides some useful context around creativity and why organisations should be looking to develop creative skills. There seems to be a lot of untapped potential here.